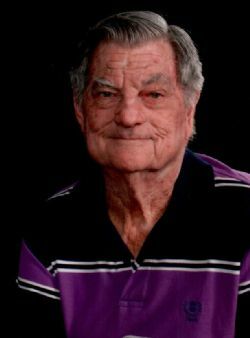 2/3/2019 from 6:00 P.M. - 8:00 P.M.
Lanny Charles Row, 77, of Greenville, passed away on Thursday, January 31, 2019 in Greenville. Funeral services will be held 10:00 A.M., Monday, February 4, 2019 at Highland Terrace Baptist Church with Dr. Chet Haney and Rev. Royce Litchfield officiating. Burial will be in Brigham Cemetery. Visitation will be 6 P.M. to 8 P.M., Sunday, February 3, 2019 at Coker-Mathews Funeral Home. Mr. Row was born November 19, 1941 in Greenville, Texas to Luther Row and Lorene Gray. He married Martha Green on June 27, 1964 in Campbell, Texas and owned The Shop where he worked as a diesel mechanic. He was a member of Highland Terrace Baptist church where he was a member of the 49ers Men’s Group. He is survived by his wife, Martha Row; son, Alan Row and wife, Katrina; daughter, Amy Wilson; sisters, Barbara Hern, Elaine Bloyed and Marilyn Finley; grandchildren, Dillon Row and fiancé, Stephanie Vaughn, Tate Wilson, Lindsay Wilson, Logan Row and Corbin Row.